Topic: "Farewell Chief William Blair- A Decade of Outstanding Leadership"
William Blair was appointed Chief of the Toronto Police Service on April 26, 2005. The City of Toronto is a vibrant city covering 636 square kilometres with a diverse population of more than 2,600,000 people. The Toronto Police Service employs over 5500 police officers and 2200 civilian employees, making it the largest municipal police service in Canada and one of the largest in North America. Chief Blair started his 35-plus year policing career as a beat officer in downtown Toronto, and continued with assignments in drug enforcement, organized crime units, and major criminal investigations. Promoted to the senior ranks of the Service, his postings included Divisional Commander, Community Policing Programs, and Detective Operations, responsible for all specialized investigative units. Chief Blair holds a Bachelor of Arts Degree from the University of Toronto with dual disciplines of Economics and Criminology (1981), a Certificate in Law Enforcement Administration from the University of Toronto (1983) and a Certificate in Criminal Justice from the University of Virginia (1990). He is a graduate of the Federal Bureau of Investigation National Academy (1990), the Police Leadership Program of the University of Toronto, Rotman School of Business Management (2002) and the National Executive Institute (2006). 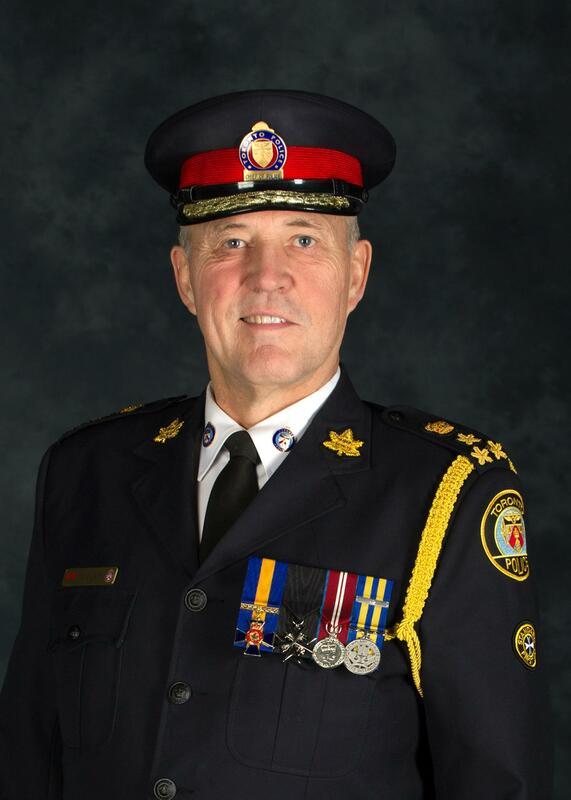 Chief Blair is a member of the Ontario Association of Chiefs of Police (OACP) and has previously served as the President of the OACP. He is a member of the Criminal Intelligence Service of Ontario (CISO) Governing Body Executive and a member of the Executive Committee for the Combined Forces Special Enforcement Unit (CFSEU). Chief Blair is a member of the Canadian Association of Chiefs of Police (CACP), and has previously served as President. He has previously served as Co-Chair of the CACP Counter-Terrorism and National Security Committee and the Organized Crime Committee. He is a member of the National Coordinating Committee for Organized Crime and a member of the Executive Committee for Criminal Intelligence Service Canada (CISC). He is also a Member At Large on the Board of Directors of the Police Executive Research Foundation (PERF). He has served as Chair of the Public Safety Emergency Preparedness Canada Audit Committee from May 2009 to April 2013. Chief Blair is a member of the International Association of Chiefs of Police (IACP), previously serving on the Executive Committee and is a member of the Major Cities Chiefs Association (MCC), currently serving as the Second Vice President on the Board of Directors. In recognition of his many contributions to the policing profession Chief Blair was named an Officer of the Order of Merit of the Police Forces in 2007 and in May 2012, he was appointed a Commander of the Order. He is also a member of the Most Venerable Order of St. John and has been awarded the Police Exemplary Service Medal with Thirty Year Bar.